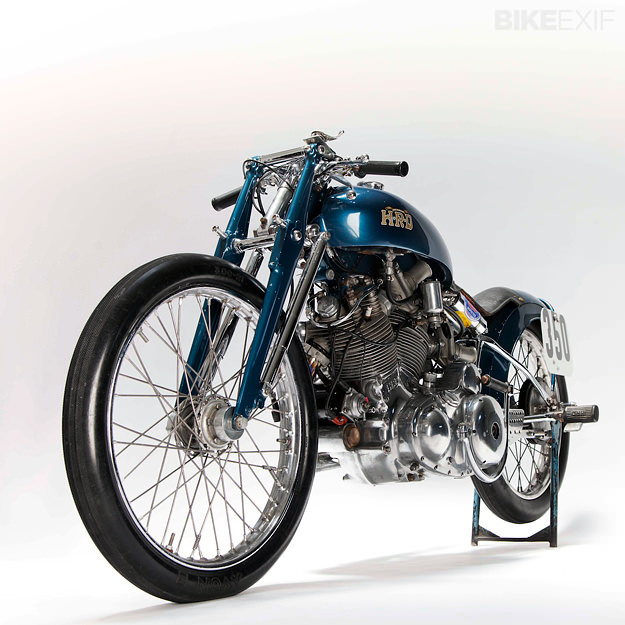 One of the most famous Vincent motorcycles of all time has just gone up for sale. 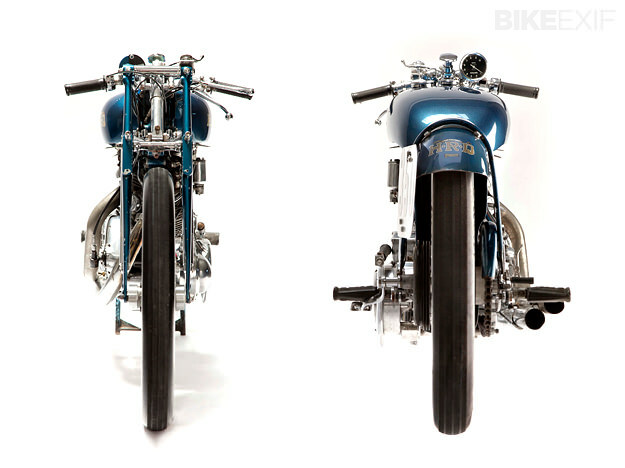 Marty Dickerson’s Rapide—best known as the ‘Blue Bike’—is on show at Altai, a design studio in Los Angeles. The Blue Bike has an illustrious history to match its stunning looks. It’s a ‘Series B’ Touring Rapide that was raced for almost half a century, ending with a final stint at Bonneville in 1997. Marty Dickerson himself was a remarkable 67. 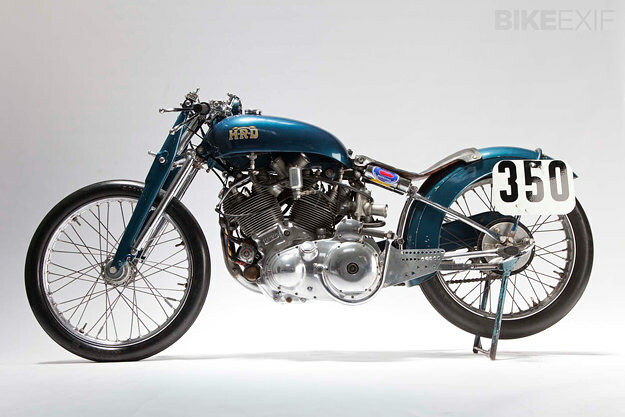 Dickerson bought this Vincent motorcycle in 1948 when he was a mere 18 years old, attracted by its reputation as the fastest motorcycle in the world. He quickly pressed the bike into service, taking on the finest street-racers and drag bikes in Southern California. And he invariably crossed the line first, leaving established reputations in tatters. The Vincent motorcycle dealership in Burbank, struggling with non-existent sales and stock languishing in showrooms, took notice—and hired Dickerson to race throughout the southwest states in a drive to raise interest in the marque. In the early 1950s the salt bug bit Dickerson and he went after the speed records. 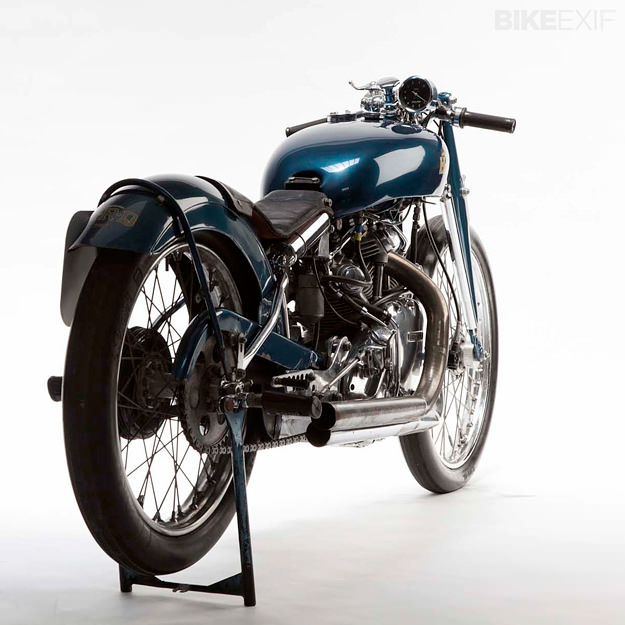 The Vincent was repainted in its now familiar colors, and from that point on, became known as the ‘Blue Bike.’ In 1953 Dickerson took the Class ‘C’ record with an average of 147.58mph, a mark that stood for over twenty years until a change of regulations and fuel grade allowed a trick Kawasaki to finally beat it.